Former Apex Court Judge Markandey Katju, it his first report submitted to the Board of Control for Cricket in India (BCCI), has opined that the BCCI should file a review petition against the Supreme Court Judgment which directed the implementation of Lodha Committee reforms, and demand that the matter be referred to a larger bench, preferably a Constitution Bench. In his report, Justice Katju opines that the judgment of the Supreme Court in BCCI vs. Cricket Association of Bihar and the order passed on July 18 are per incuriam, as they have overlooked several earlier decisions of larger and coordinate benches of the Supreme Court. Through the order passed on July 18, the Apex Court had directed implementation of most of the recommendations of the Lodha Committee, within 6 months. “In their zeal to purportedly “clean” up cricket, the Supreme Court and the Lodha Committee have passed orders and directions completely contrary to law. They have lost sight of the fact that the field is completely occupied by State enactments…. The BCCI and its constituents are governed by statutory enactments and rules framed thereunder. It is wholly illegal and invalid for any Court or local commission appointed by a Court to pass orders or directions contrary to the statute or rules/ bye laws made thereunder,” the report states. “In its desire, like Hercules, to clean the cricketing Augean stables, should the Supreme Court act, to use Justice Cardozo’s words, like a “Knight Errant roaming at will in pursuit of his own ideal of beauty and goodness”?” it adds. With regard to the July 18 order, Justice Katju argues that the same lies outside the Court’s domain, as the directions were largely legislative in nature. The reports contends that placing restrictions on the functioning of an autonomous private society like BCCI would tantamount to encroachment of the legislative functions of the Parliament. The report makes reference to provisions of the Tamil Nadu Societies Registration Act, 1975, which empowers the Registrar to cancel the registration of the society after giving it a hearing, if the business of the society is being conducted fraudulently or in defiance of its Memorandum/bye laws. It therefore avers that these functions bestowed upon a statutory authority cannot be taken over by the Court. Hence, Justice Katju is of the opinion that the Lodha Committee had “run amuck in the missionary zeal of a Crusader brushing aside all laws and rules to fulfill its holy aim and obtaining the Holy Grail.” The report further contends that the submission of a draft Memorandum and Articles of Association, which is expected to be forcibly adopted by the BCCI, is “completely illegal”. “In my considered opinion, the Lodha Committee went clearly overboard in its desire to seek popularity and play to the galleries like a Knight in Shining Armour and blazing sword battling demons and monsters to win public acclaim and cheers. It has transgressed all norms of legality and propriety unmindful of the havoc it has caused and is causing,” the report states. 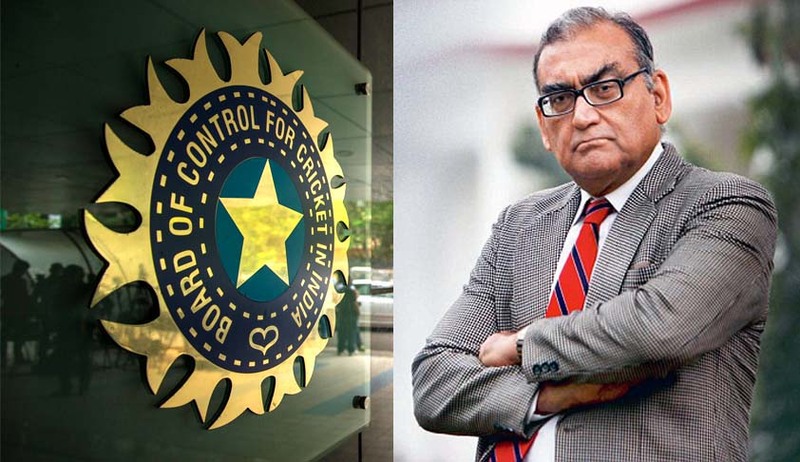 Through a resolution dated August 2, 2016, BCCI had appointed Justice Markandey Katju as the head of a four-member legal panel to help it understand the implications of sweeping reforms suggested by the Justice Lodha Committee. Justice Katju will be the single point interface for the Board to interact with the Justice Lodha Committee as well advise and guide the world’s richest cricketing body. You may read the LiveLaw article here. The Justice Lodha Committee had however recently clarified that its recommendations had become “final and binding” and cannot be subjected to review. It had added that Justice Katju would not be allowed to “interact” with it as a representative of the board, nor would he be “entertained in any manner”.